Is your radiator leaking or making strange noises? Perhaps you’ve noticed signs of rust? In this case, call an expert to check it out as soon as possible. Nowadays, radiator heaters are present in most households. Yet, most homeowners rarely perform any maintenance work. Some don’t check their radiators for years or even decades. When misused or poorly maintained, these everyday items can become a hazard. Your children or pets could be badly burned, or your house could catch fire. The good news is that most accidents are largely preventable. All you need to do is to follow a few basic rules concerning radiator safety. Here are five essential tips to consider. Before turning on your radiators, check out the bleed valve or air vent. It should be fully tightened. Don’t try to use this part to adjust the heat. If you do want to adjust the temperature directly on the radiator use the thermostatic valve. Do not place the sofa, armchair, and other furnishings in front of the radiator. If you do, the heat cannot circulate properly. Additionally, your furniture may overheat, which could result in injuries and potential fire hazards. Instead, consider using wood or metal radiator covers. These accessories are stylish and fit into any room. Plus, you can choose from hundreds of styles and sizes. Depending on where you live, you might not use the radiator heater year round. Most people only turn it on during the cold winter months. Before you start to use the radiator after a long break bleed your radiators. Here’s how to do that. Electric models carry higher risks compared to central heating radiators. They can become hot to touch and can easily turn into a fire hazard if not managed correctly. To stay safe, place them on a level, non-flammable surface. Always turn them off when leaving home. Don’t hang clothes or shoes over the heating unit, and do not use an extension cord. No matter what type of radiators you’re using, have them checked annually when you have your boiler serviced. Even if your radiators looks perfectly fine, they may still require attention. A professional can check it for any signs of damage and fix before it’s too late. These heating devices have changed our lives for the better. After all, they allow us to stay cosy and warm when it’s cold outside. Since they’re subject to wear-and-tear, proper maintenance is essential. 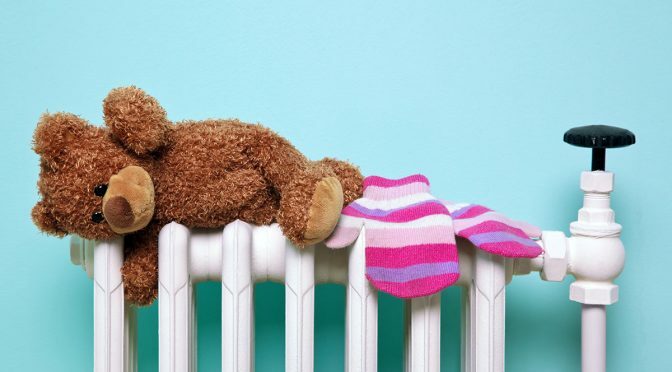 Make radiator safety a priority in your household. Teach your children how to use them safely. For other radiator safety tips, check out our blog. From how-to guides to practical advice, we’ve got you covered!